Dancers accepted to the program participate in an exceptional artistic process with other Indigenous artists from various nations, backgrounds, and countries. 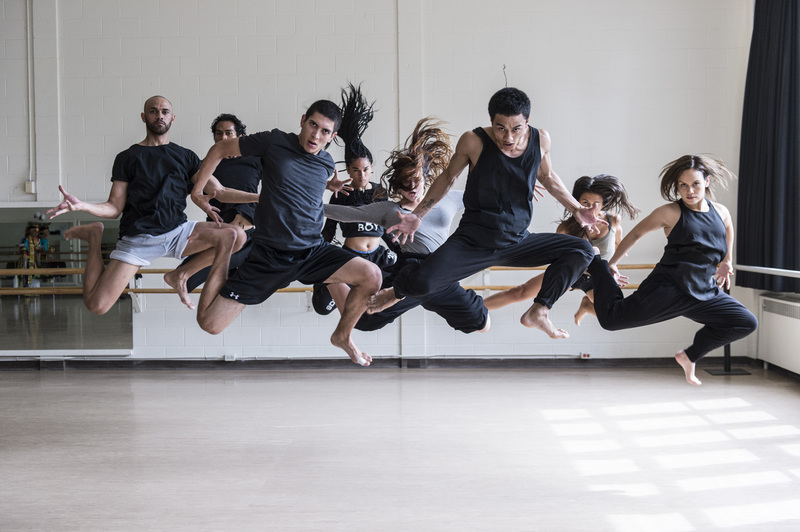 The program provides a critical space for emerging and professional dance practitioners to exchange artistic and cultural knowledge and practice. Emerging dancers train with high-level faculty, “shadow” professional dancers in classes, and develop performance skills in-studio. Professional dancers work with acclaimed choreographers and teachers to create a new short work that is performed at The Banff Centre. For merit dancers, integrated leadership is also part of their rich experience. 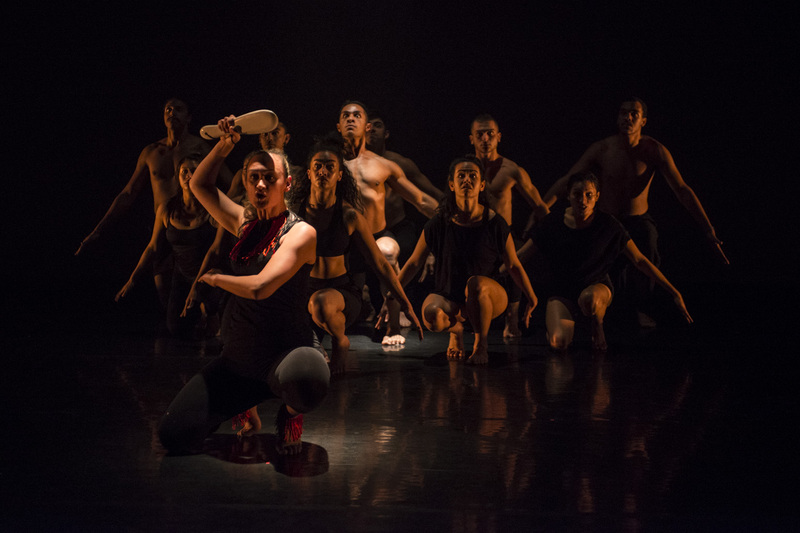 IDR creates the space for research, sharing, and exploring Indigenous creative and cultural process, integrated leadership learning, and strengthens the future of contemporary Indigenous dance. Dancers have represented all provinces and territories across Canada, as well as Australia, New Zealand, Mexico, United States, Samoa, and Fiji. We welcome Canadian and international Indigenous dancers from diverse dance backgrounds to apply. Applicants must have dance training experience in one or multiple genres of dance as well as a strong work ethic. Dancers should be open to the creative process, expect to work very hard, and be professional in and out of studio. If you are a professional dancer looking to transform your technical and performance skills in a rigorous yet supportive environment, or looking to transform your skills in contemporary Indigenous dance, this program is for you. Enrollment is limited to 12 dancers. Isadora is used in many Banff Centre presentations. Pictured here: a shot from an Indigenous Dance Residency performance. A full scholarship to cover accommodation at Banff Centre and meals while in the program. * Dancers accepted to the program will receive 100% scholarship to cover the program fee including tuition, shared room, and meal plan at Banff Centre. Travel to/from Banff Centre will be the responsibility of each dancer. A quality video, five to 15 minutes in length, demonstrating your most recent dance experience and (if applicable) your own choreographic work. An audio-visual statement, two to four minutes in length, answering this one question: How will you contribute to this intensive dance residency? The name, email address, and telephone number of one person willing to provide a reference. Participants are selected by impartial adjudicators on the basis of their submitted material. In addition to artistic merit, consideration will be given to an applicant’s work ethic, professionalism, and ability to contribute to the program. Applicants must be of Indigenous descent and 18 years of age or older. All international and Canadian Indigenous dancers are welcome to apply. Applicants must have at least two years' experience in the dance world. Re(Claim) is an interdisciplinary music program in which Indigenous artists ‘reclaim’ the era of silent films, moving and still images made about Indigenous peoples.